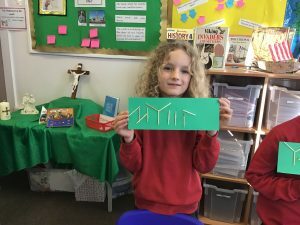 Did you know that the Viking runes are only made from straight lines? 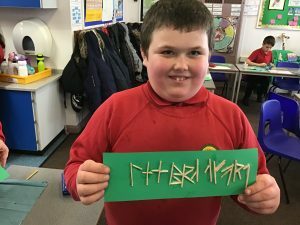 They used to chisel their writing into stone and wood! 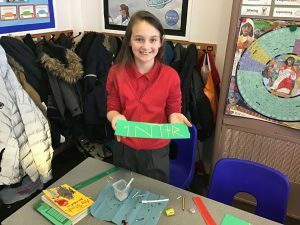 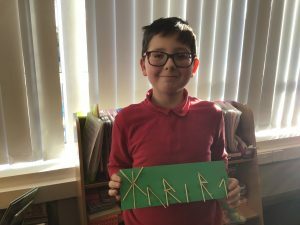 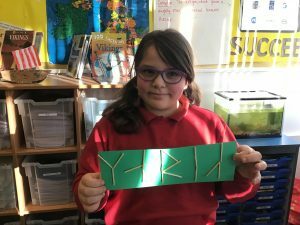 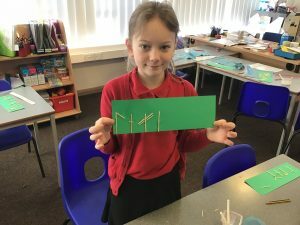 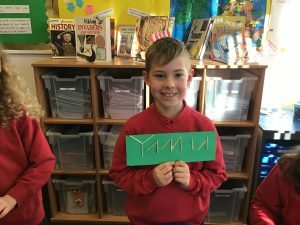 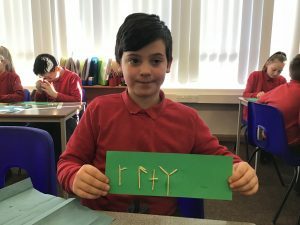 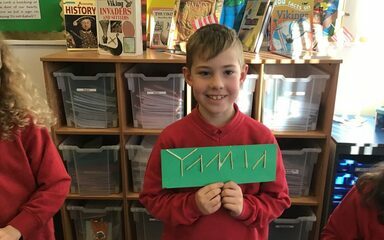 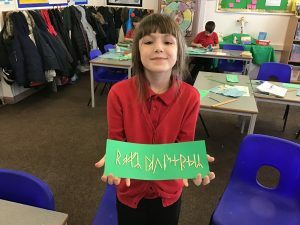 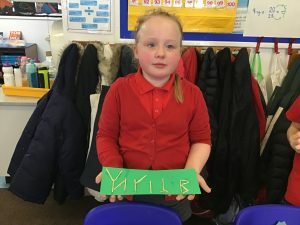 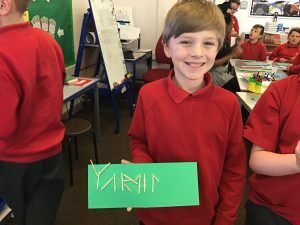 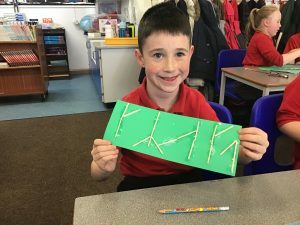 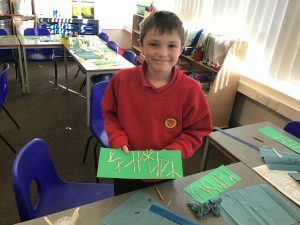 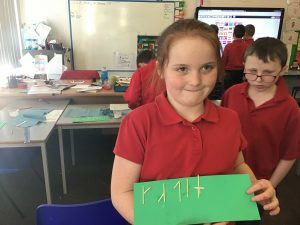 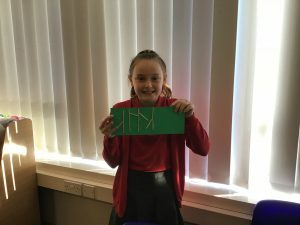 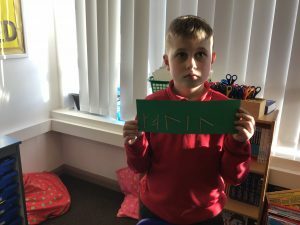 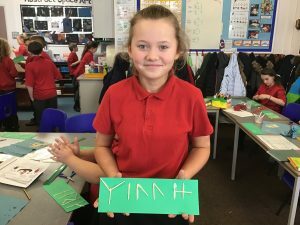 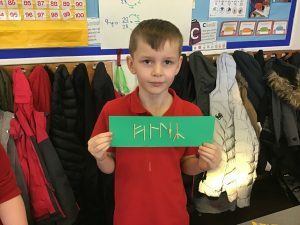 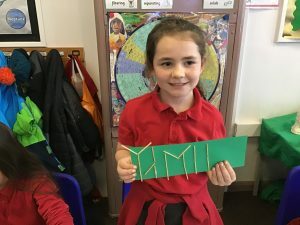 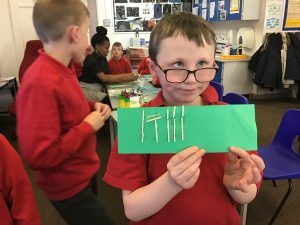 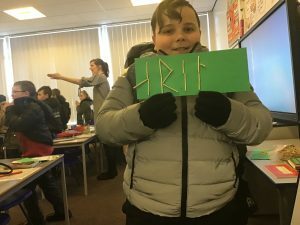 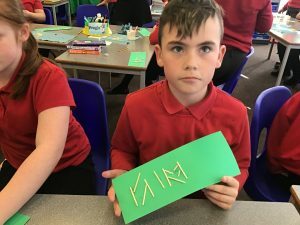 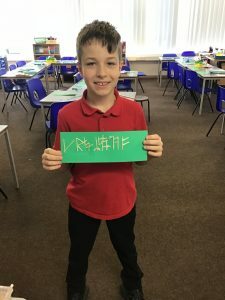 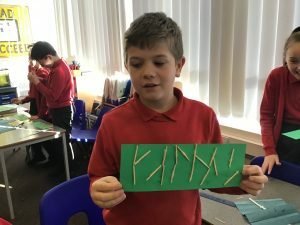 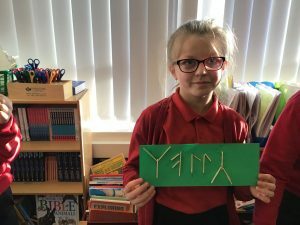 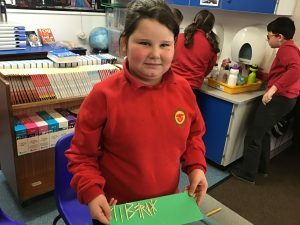 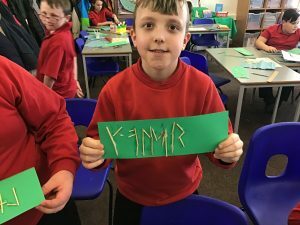 We had a go at creating our own names in Viking runes using matchsticks. 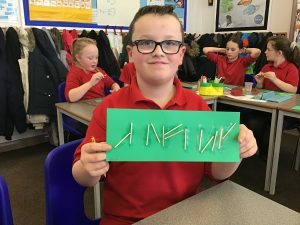 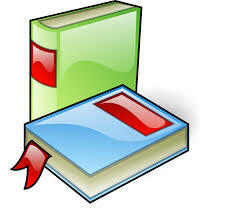 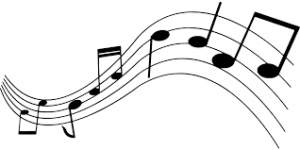 Can you see which letters look like English letters?